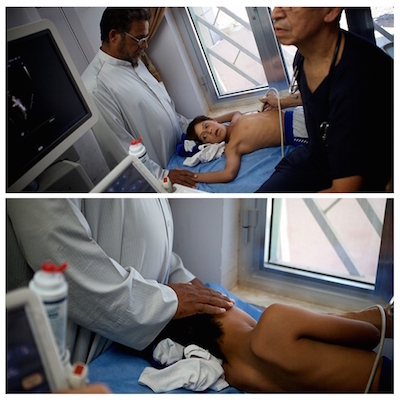 Before surgery, the cardiologist has to take another look at Hussain’s heart to make sure he’s ready for surgery. Thankfully, the results were good: he can receive an operation. Now he and his father just have to do the hardest work of all—wait. Dad barely let go of Hussain’s hand throughout this process. It’s been sweet to watch how close the two of them are. Please pray for Hussain’s healing, and that the operation would be a complete success.